In 1976, a large shark got entangled in the sea anchor of the US Navy ship AFB-14 off the coast of Hawaii. When it was finally brought to the surface and examined, the 4.6 meter long shark was found to be a completely unknown species. Dark brown above and white below, it had a huge mouth, soft rubbery lips and small teeth. The pronounced gill rakers (structures along the gill that protect the delicate parts of the gill from larger particles in the water) showed this new species to be one of only three species of filter feeding sharks in the world (the other two are the Basking Shark and the Whale Shark). 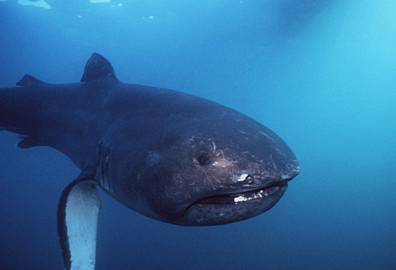 This new species was called the Megamouth Shark (Megachasma pelagios). As more individuals were slowly encountered, some aspects of this species’ biology became clearer. They can grow up to 5.5 meters in length and weight up to 2679 lbs. Their mouths alone can get up to 4 feet wide! 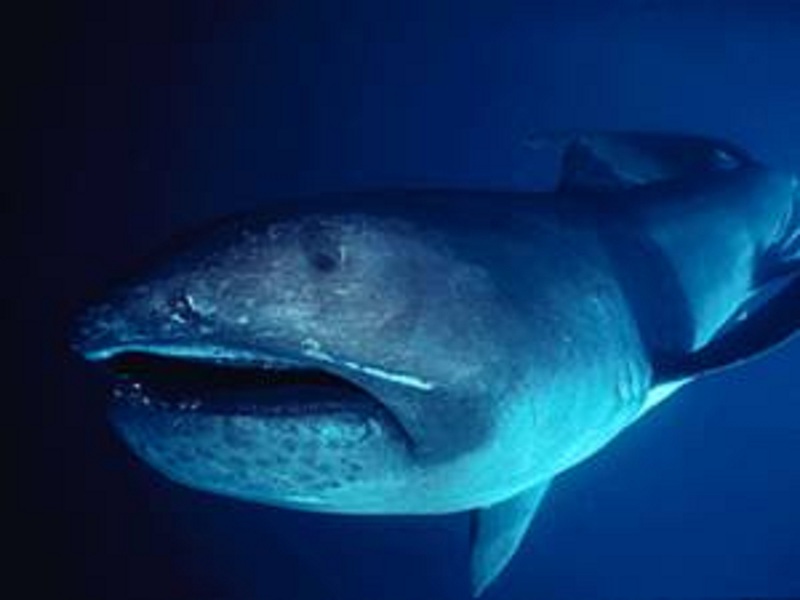 In 1990, a Megamouth was caught near Dana Point, California. This shark was equipped with a small radio transmitter and was followed for two days. Over the course of that time, it spent daylight hours deep under water at around 400 to 500 feet below the surface. During the night it came closer to the surface to spend time in the 40 to 80 foot range. This vertical migration in the water column is common among pelagic plankton upon which these giant sharks feed by swimming slowly along with its mouth open wide to catch small food items like plankton or small fish. One feature that these sharks have that may attract the plankton into their mouths are photophores, small luminous spots, surrounding their mouth. In the deep water where very little light penetrates, bioluminescence is often used as lures for prey. This species is so different from anything else known that it has been proposed that it should belong to a family all its own. Recently, two fossil sharks, one from the Cretaceous and one from the Oligocene, have been found that also had the huge mouths and small teeth of the Megamouth and may have belonged to the same family as well. To date, only 59 specimens have ever been seen or caught, but the locations of these encounters are spread all over the world in the Pacific, Atlantic, and Indian Oceans. A few specimens have been found off the coast of California and Baja Mexico, Indonesia, Brazil, South Africa, Senigal, Japan, The Phillippines, Taiwan, and Ecuador. The discovery of an animal so large, so different, and so recent has made the Megamouth a bit of a celebrity, and it discovery has been called one of the greatest and most exciting discoveries in ichthyology of the 20th Century. The other major such discovery was that of the Coelacanth. So remember that there is still a lot of discovering to do in the world. You just never know what you will see next.